A friend of mine, Faith, dropped into the studio today and took a few shots of me at the easel. Have never had any photos of me 'at work' before, so they are lovely to have. 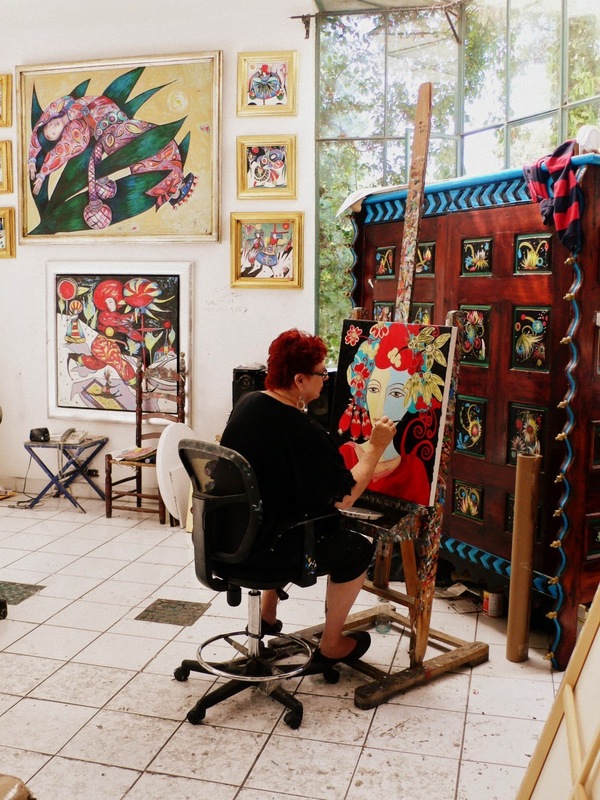 Just for the sake of posterity, Toller Cranston's Studio, San Miguel de Allende, Gto. Mexico, July 21, 2014. Hope you are all having a great week. Beautiful day today, no rain. Thanks for dropping by. Take care. I love these shots. They will be great to add to any promotional fliers for studio shows. 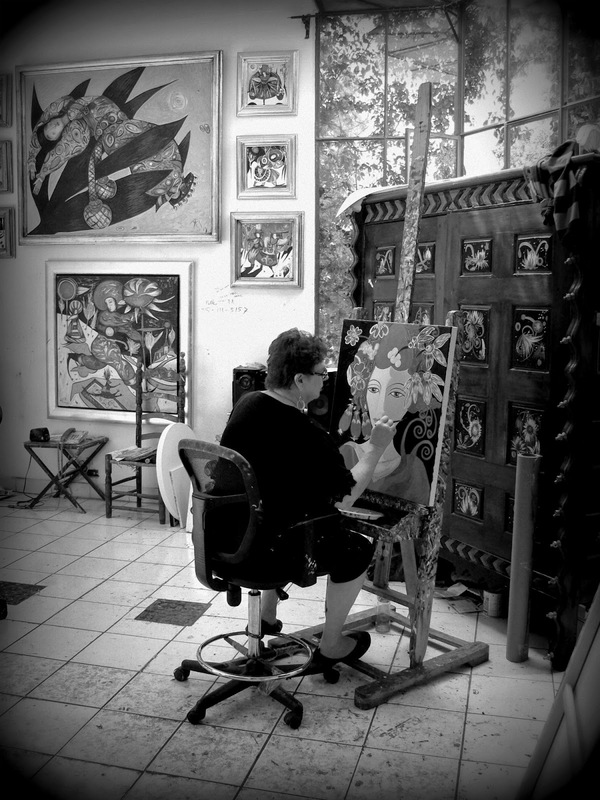 An artist is most comfortable at the easel . . . and it shows. A true artist. LOVE IT! So natural. What a treat today; the artist at work (or at fun). Love all of the photos along with the painting in progress. What a great idea to get some artist-at-work photos! Makes the connection even more real. Nice.